The Lady's Renaissance Dress is a beautiful two-piece dress ensemble that consists of a skirt and bodice made from extremely high-quality baroque damask. This attractive ensemble is also highly adjustable, as it fastens via laces in the back. Both bodice and skirt are made from attractive brown and gold damask fabric, giving this dress an extremely stunning visual appearance. The bodice is decorated with white and black ruffled trim along the neckline and waistline, the center of the bodice is decorated with a black band of lace set with a single white flower. White ruffled trim and a white flower also decorate each of the half-length sleeves. The skirt echoes the design of the bodice, white and black ruffled trim run the length of the skirt, separating a section of plain brown fabric from the baroque damask fabric that makes up the rest of the dress. 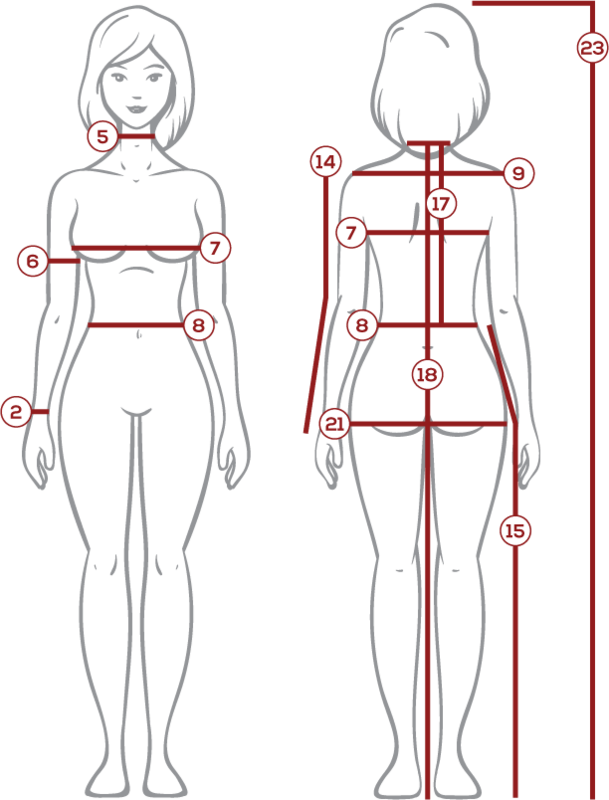 The bodice of the Lady's Renaissance Dress is fully-lined and features boning, which helps to support the shape of the bodice as well as providing support for your body-shape as well. 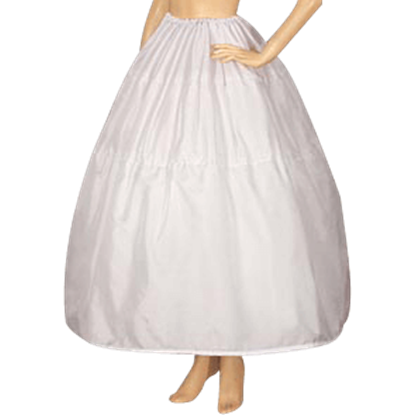 In the picture above, the dress is worn with a hoop-skirt to add shape, the dress does not include a hoop-skirt. If the rounded-bottom look is desires, a hoop-skirt or petticoat can be purchased separately, or the dress can be worn without one. Also not included with the dress is the hat pictured above. 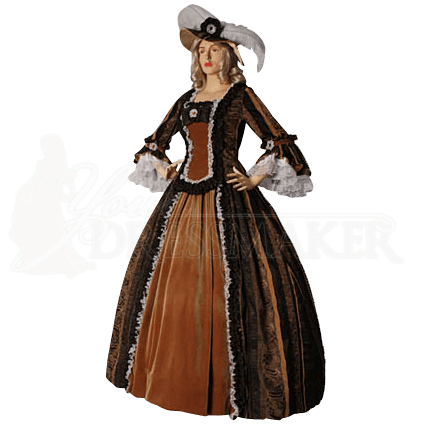 The Lady's Renaissance Dress is an elegant and refined dress that is perfect for a day out at the renaissance fair, in this dress, you're sure to be the next big thing at any renaissance or medieval event.